Finding the right tool for a certain project is very critical. If we are using the wrong tool, we will not only waste our efforts but also our time and money. 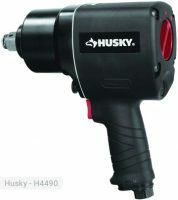 For a fast cutting action, Husky Medium Stroke Air Hammer is the right air tool to use. It is designed to for cutting metals, shearing bolts and rivets, and driving out pins used on cars, trucks, recreational vehicles, and for structural maintenance and repair. With just a single tool, you can already perform a lot of procedures for your projects. This unit has an output of 3700 blows per minute (BPM). The blow consists of high energy material providing the power that you need. It also accepts standard 0.401 in shank chisels. The recommended operating pressure for this air hammer is 90 psi. With this pressure, air consumption is at 4 CFM. This makes the air hammer usable for longer periods of time. It features a spring type quick change retainer which provides a faster engagement of the air hammer compared to standard ones. The air inlet size is around 0.25 inch delivering just the right amount of air that you need. It is recommended that you use air compressors with high tank storage capacity (more than 20 gallons) because it is a continuous operation tool. Therefore, it would require a huge supply of air if you want to use it for a long time. 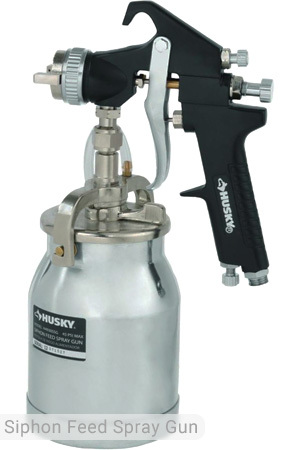 This Husky stroke air hammer was structured to provide maximum convenience while handling it. It is lightweight, weighing only 3.12 lbs. With its low weight composite housing, you will be able to hold the tool for longer periods of time. Its textured and contoured handle provides a good grip and comfort when doing your tasks. Following the standards for industrial purposes, the air tool operates quietly so as not to disturb other workers. It is made of durable materials for longer working life. 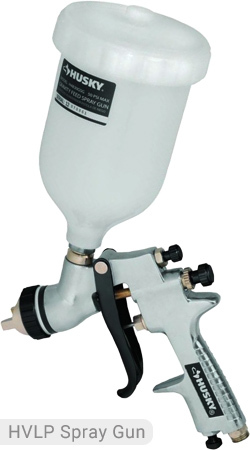 The Husky air hammer can cut through mortar easily and can remove disused brick chimney in a few hours. If you want to undo your tile flooring, you may do so with this unit. 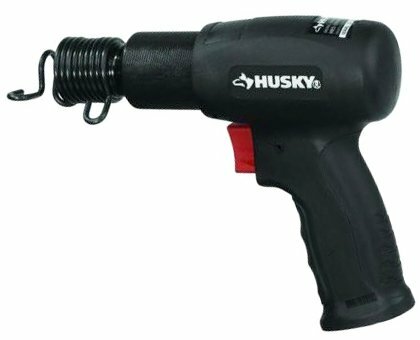 Since this is a medium stroke air hammer, you can also perform several medium-duty projects. Very little effort is required for these tasks. For large scale commercial tasks, this might not have the power that you would need. You can control the air hammer well by simply adjusting the pressure that you put on the trigger. Depending on the force that you need, you can just lay back on the trigger and work on a lighter force. The barrel doesn’t come loose easily unlike other brands. 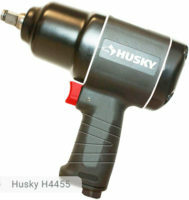 Husky Medium Stroke Air Hammer can be bought at a cheap price of around $25.00. This is a great tool for this price. 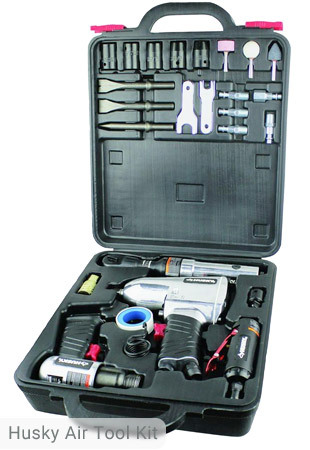 The quality of this tool is guaranteed to be efficient, reliable, and powerful. Although it does not come with attachments or other accessories, it is still a good buy. Try it now and start doing your home projects. 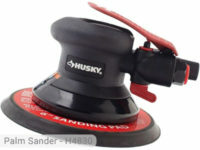 If you already own Husky H4630 model or just want to buy it, feel free to share your review or ask a question through the form below.